Esko proudly announces that Automation Engine Connect, a toolkit allowing integration from third party products to an Esko workflow, is a recipient of a 2015 Printing Industries of America InterTech Technology Award. Since 1978 the InterTech Technology Awards have honored the development of technologies predicted to have a major impact on the graphic arts and related industries. More than 80% of technologies that receive an award experience continued commercial success in the marketplace. 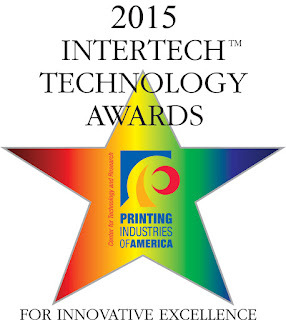 This is the eighth InterTech award an Esko solution has received over the past ten years. 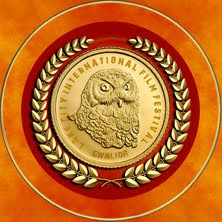 Other recipients include a wide variety of technologies: Esko WebCenter (2006), Esko DeskPack 3-dX (2007), Esko Neo (2008), Esko Studio Toolkit for Shrink Sleeves (2011), i-cut Suite (2012), Full HD Flexo (2014) and Equinox (2014). 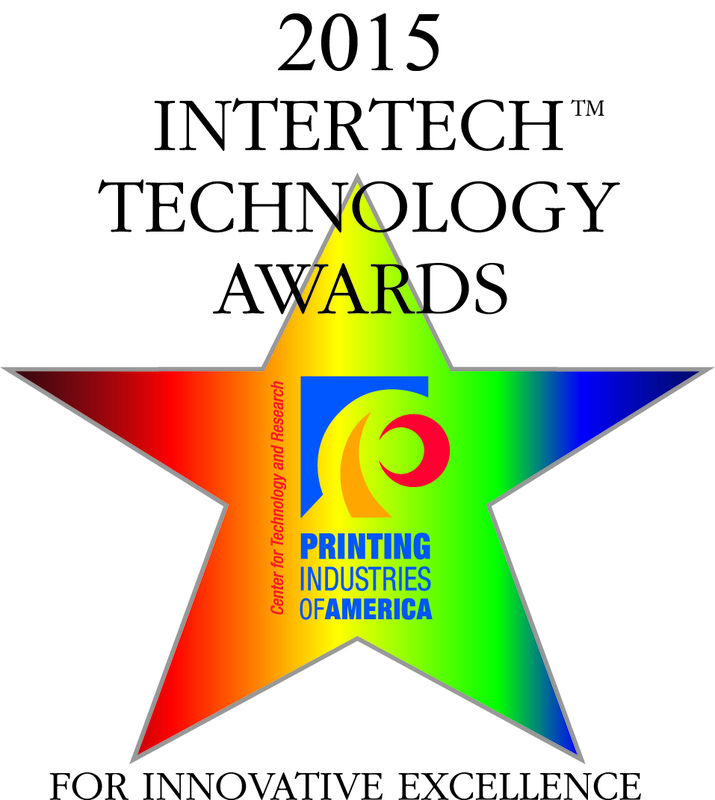 “We are thrilled to receive an InterTech award from Printing Industries of America this year. Esko has a legacy of investing a much higher portion of our budget into R&D than the industry average. We believe in innovation as a means to help our customers conduct their jobs more easily, productively and profitably. 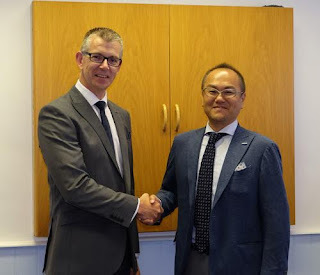 Automation Engine Connect is certainly an example of creating software technology to help our customers design complete, more efficient workflows," remarks Udo Panenka, Esko President. 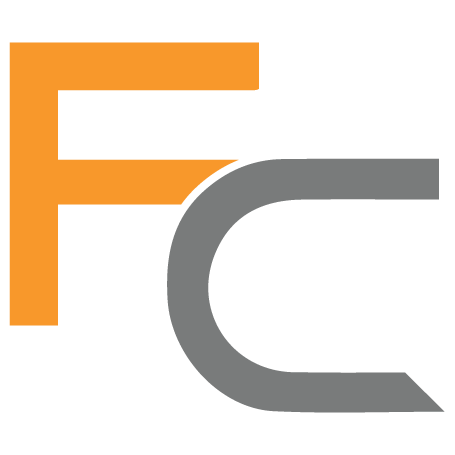 "We understand that it is important for our workflow systems to communicate with third party systems. Similarly, we listen to our customers' challenges, and strive to build more effective solutions for them. 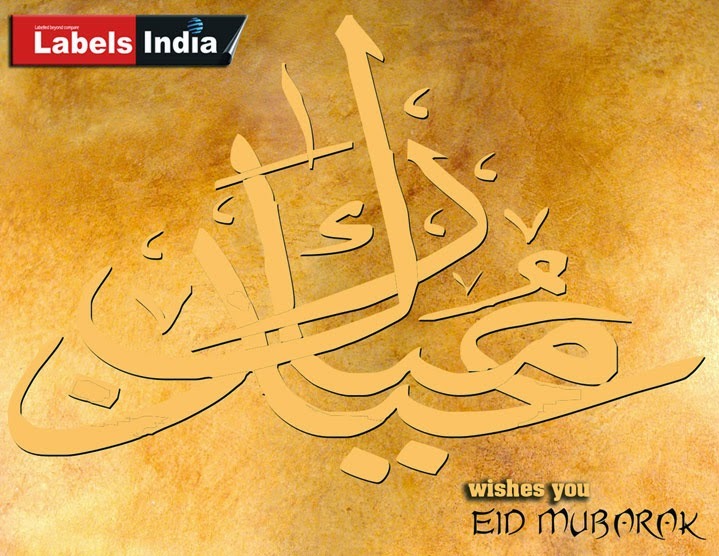 That is the ultimate reward for us." 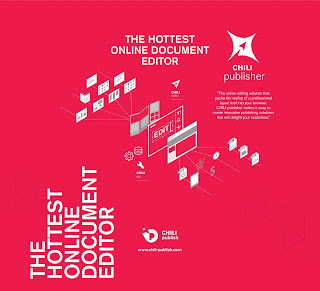 Even though many in the printing industry have pushed connectivity, not all systems are JDF, or even XML, compliant. And, even if they are, it does not mean that data from one system maps out correctly to another system. This means that when a print provider wishes to tie in the production workflow to outside systems – ERP, MIS, web-to-print, shipping systems, etc. – there will often be a challenge. This usually requires, for just about any other workflow, customized programming to create a way to connect systems together. Esko has significantly reduced the cost of integration for its customer base with Automation Engine Connect, the only toolkit offered specifically by a workflow vendor expressly developed to integrate other, disparate business systems. 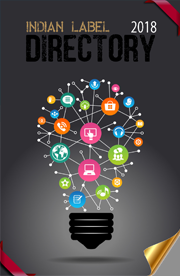 There is no other application on the market that is deeply rooted into the workflow server itself. Automation Engine Connect provides a toolkit that allows integration from a third party product with an Esko component, such as WebCenter, Automation Engine or ArtiosCAD. This means that MIS, web stores, finance and shipping systems, and more, can all be integrated into the workflow. Automation Engine Connect is easy to install. While Esko provides the service to map and connect data, those who are knowledgeable in IT can do it themselves. With Automation Engine Connect there is no reliance on anyone who creates a customized system to continue maintaining the system. Automation Engine Connect is also scalable. If the business invests in more, or new, systems, Connect can easily make sure that these systems are integrated into Automation Engine. Among the numerous applications that have been connected to Automation Engine are packaged MIS systems such as EFI Radius, LabelTRaxx, CERM and Theurer; custom systems based on Microsoft Excel and FileMakerPro; and even one user who connects to World Weather Online to understand wind conditions when planning outdoor mounting activities for billboards. "When we purchased our MIS system, it was taking too much time for prepress to duplicate CSR efforts, entering similar job information into the production system. We invested in Automation Engine Connect," comments Rebekah Harmon, Art Director, Best Label Company." After the system was set up, it was easy to use. Now, our artists probably can process 50 jobs per day. 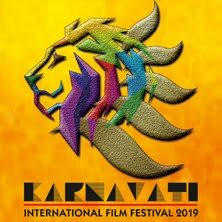 Before Connect, we only could produce 30 per day." 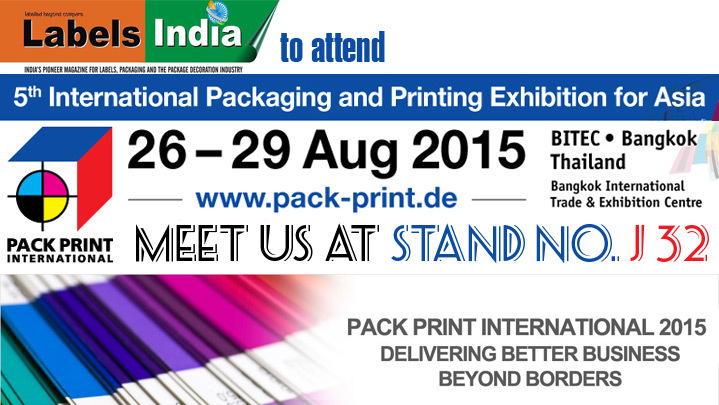 Flexokliche provides design, prepress services and plates for packaging applications. "We had purchased our MIS system purely on how it handled and worked. But, we had not thought much about future integration. We started a simple XML transfer, but it never worked," remembers Linda Ekehage, Owner, Flexokliché. "I do not know how Esko does it, but Esko Automation Engine Connect works. Once we got in touch with the right people from our MIS developer to understand the data files, it was really easy. It took Esko only about eight hours. We can now look up jobs easily in Automation Engine and keep track. Now that order information is sent directly to Automation Engine my bookkeeping time is 50% faster. And that is just a small part of the workflow chain. All of the designers and account managers save time as well." “The judges commented that Automation Engine Connect is the start of a new and simplified approach to connecting disparate systems. The user interface makes it very user friendly to connect systems. It's simple and effective, and takes lots of extra work away from the user," notes Dr. Mark Bohan, Vice President, Technology and Research, Printing Industries of America. “The judges were also very impressed with the wide array of systems that have been connected with Esko Automation Engine Connect in real installations." iSys Label and iSys–The Imaging Systems Group Inc., the Canadian developers and manufacturers of short to mid run digital label printers, are pleased to announce an additional GHS BS5609 material has passed Section 3 certification for use in the EDGE 850 digital label printer. The recently approved substrate is matte white polyester from UPM Raflatac, with part number LS276R. Rolls of material can be purchased from iSys-appointed converters in the United States. 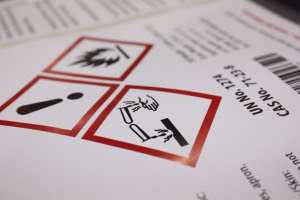 In order to print fully-compliant drum and chemical labels; the facestock, adhesive and printed graphic all need to meet the requirements for sections 1, 2 and 3 of BS5609 standards and be independently tested and certified by PIRA (the Print Industry Research Association). The printed labels are exposed to artificial weathering, tape removal and abrasion resistance tests to ensure they are capable of withstanding the harshest environments and prove their durability. The EDGE 850 “GHS Solution” is a roll to roll digital label printer and comes complete with the printer, feeder, rewinder and EDGE2Print software. With easy-to-use drag and drop software and print speed of 4.3 m/min., iSys Label makes simple work of printing full-color chemical labels on demand. Users will eliminate the need for ordering pre-printed labels, reduce inventories and wait times by being able to customize their labels with variable information and full color - all in a single pass. 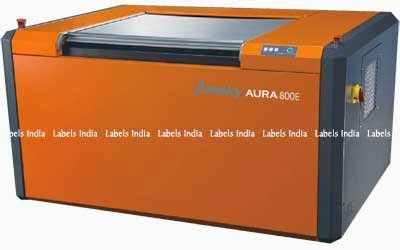 iSys Label is the innovative developer and manufacturer of short to mid run digital label printers that deliver production quality labels print after print. Our focus is on developing customized product configurations to fit our customers’ needs and provide effective solutions that meet their highest expectations. 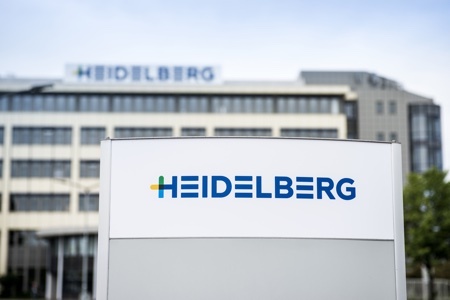 Embracing new developments and technologies, MPS prepares its printing presses for the future of LED with the integration of the new GEW hybrid LED UV system, to be exclusively unveiled at Labelexpo Europe 2015. MPS is the first narrow web press manufacturer to show the new GEW hybrid LED UV system (ArcLED), integrated with the next generation EF Neo flexo printing press. Labelexpo Europe visitors interested in LED curing can visit the MPS stand 11C20 to see live demonstrations, where MPS will show both LED and arc UV curing in combination with low migration inks of the Flint Group for label and film applications. With this combination, the MPS press will run at high speed using less energy, for the same running capacity. Due to the high intensity of UVA illumination with LED, heavy ink layers are cured more consistently with improved adhesion. 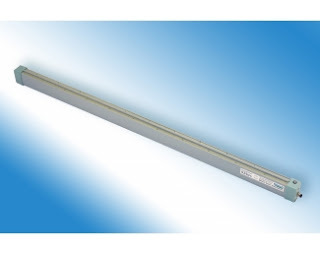 With the new GEW ArcLED curing system, the same lamphead casing is used with interchangeable pull-out cassettes for arc and LED, including the same power supply and control. The associated RHINO-ArcLED power supply automatically recognises the type of cassette being used and adapts all parameters accordingly, including the correct power type and running parameters. 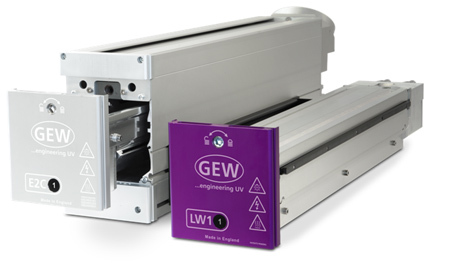 According to Marcus Greenbrook, International Sales Manager at GEW, “Our new LED UV curing system is compatible with the widest range of substrates, and it increases machine uptime because of less maintenance. It also reduces energy consumption, as with LED instant on-off switching means no energy is consumed when the printing machine is idle between jobs. Labelexpo Europe visitors interested in more information about the new GEW ArcLED system are invited to visit MPS in stand 11C20, or GEW in stand 6C18. With a tagline - MPS. Operator Focused, Results Driven - MPS is a worldwide, well-known and high-quality brand of flexo and offset press solutions for label and flexible packaging printers. By providing extensive knowledge and world-class service to enhance the printing process, MPS helps customers excel.MPS has a team of experts when it comes to knowledge of the printing process and desired results in label and flexible packaging print runs. We share and apply our expertise every day, and can offer a specific solution for every customer. 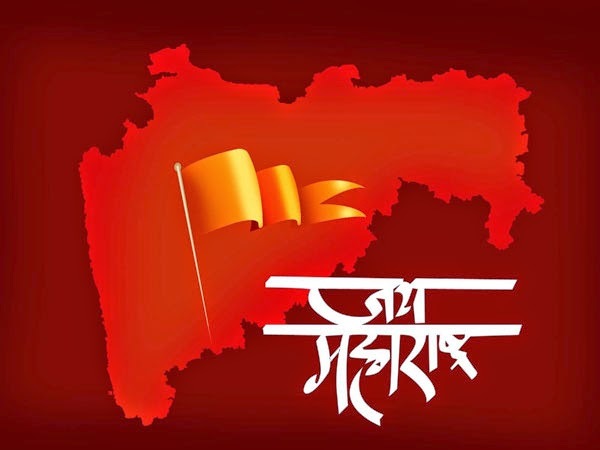 Wishing all Happy Maharashtra Day.. In response to its customers’ most pressing challenges, which include the need to reduce inefficiencies and enhance printing quality, Kodak is delivering Prinergy Workflow 7, the latest advancement of the company’s workflow automation software. All of the enhancements to Prinergy Workflow 7 protect the profit margins of today’s print service providers, including new features that limit human error, improve time to press, and enable faster and more informed decisions that are critical for keeping margins healthy. Prinergy Workflow increases the level of automation in every core function of the printing process – job creation, collaboration, file processing, trapping, proofing, imposition and color management, enabling printers to better compete in today’s changing print environment. Kodak’s workflow automation software also delivers the flexibility to integrate with current, future and third-party technology, allowing customers to grow their workflow system alongside their business. callas Preflight Profile Integration – Preflight+ allows the integration of callas preflight profiles for improved quality control and reduced manual touch points. 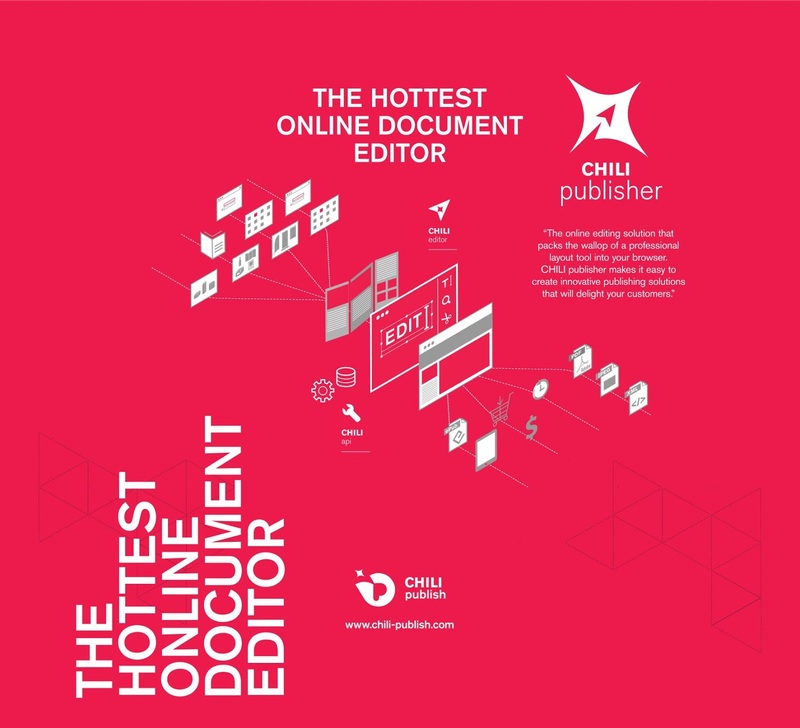 Layered PDF Versioning Enhancements – Improved error detection and better control over multiple layers of files making versioned printing more flexible, reliable and repeatable than ever. Digital Printing Enhancements - Centralized control over digital and conventional presses and equipment to deliver efficient, automated production of all job sizes to a fleet of Kodak and third-party digital presses and computer-to-plate (CTP) devices. Kodak is leveraging these digital printing enhancements to enable an advanced level of automation and management of production presses. These new capabilities make it possible for Prinergy Workflow 7 to control job ticketing parameters both manually and through Rules Based Automation (RBA) of multiple devices while monitoring and reporting the status of each alongside CTP devices and proofers. To learn more about the additional features and benefits of Kodak Prinergy Workflow 7 visit www.kodak.com/go/prinergy. 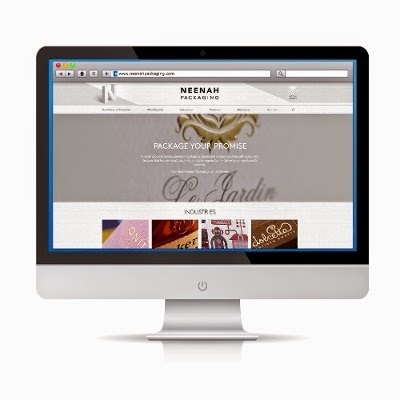 Neenah Paper announces the launch of its new website, neenahpackaging.com. The site, now live, is intended as a creative and specification resource for brand managers, designers, printers and converters who are responsible for luxe packaging and label design for premium and craft brands. 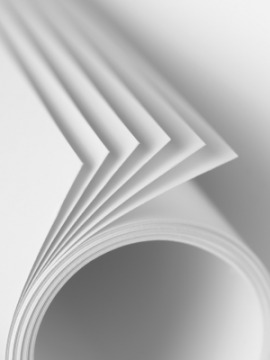 With the launch, Neenah offers premium paper samples for customers. Neenah Packaging makes it easier for marketers to see and experience the difference that premium papers, boards and labels can make to help create an immediate connection with customers through their branding and packaging. The website features a photo-rich inspiration gallery with dozens of real-world brands and package design examples organized by industry - cosmetics and fragrances; wine, spirits & raft beer; consumer electronics; and retail - as well as by application. Users are invited to experience firsthand Neenah’s hundreds of fashion-forward paper colors and unique, high-touch textures and finishes with an intuitive online preview of paper options and the ability to order paper samples on the spot for bags, box wraps, gift cards and gift card carriers, hang tags, labels, folding board and fragrance strips. With double-digit growth expected in digital packaging applications over the next 10 years, Neenah presents options for all leading on-demand equipment. On April 28, 2015, Michelman India celebrated the grand opening of its new Business and Technology Centre in Mumbai. 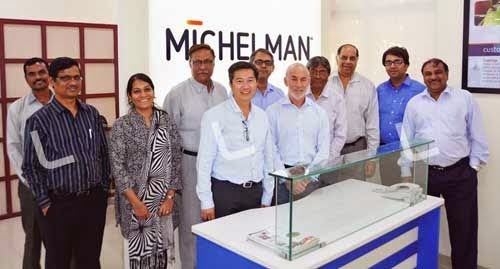 As a result of its recent acquisition of long-time sales and service partner, Supack International P/L, Michelman India now offers a business center, laboratory, and an experienced team of sales, technical service and business operations personnel. The facility’s laboratory has been equipped with several industry accepted product testing capabilities for packaging, printing, and coating applications. 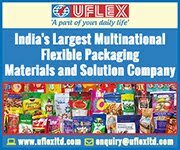 Michelman India is dedicated to the development of the Indian market, with an immediate focus on the growing printing and packaging sector. The company also has expansion plans to service other coatings and manufacturing industries that Michelman supports worldwide. MPS reports a record attendance in the MPS stand during Label Summit Latin America held April 21-22 in Mexico City’s World Trade Center. 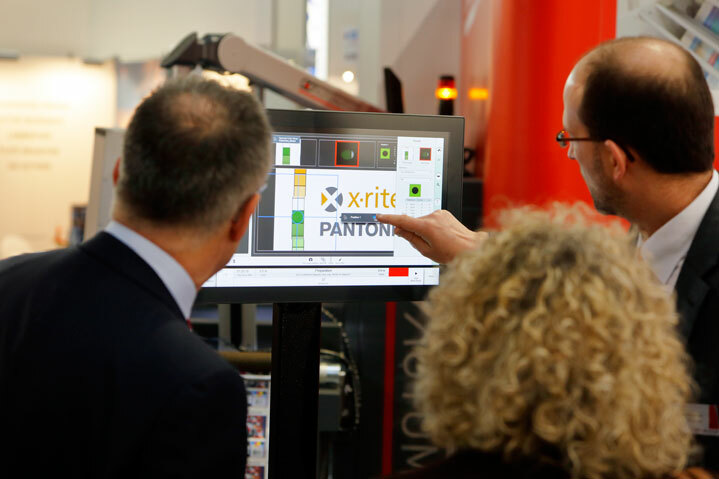 Visitors were attracted to the stand to learn more about the recently launched MPS EB flexo press and features of the EF multi-substrate press, in addition to the launch of manufacturing MPS presses in the USA. The two-day conference and table-top exhibition is the largest gathering for the label and package printing industry in Latin America. MPS has a leading and well-established presence in Mexico, and welcomed many of its successful customers in the stand. MPS director Eric Hoendervangers represented the MPS management team at the summit, and was joined by MPS Latin America Inc. and agent ProFlexo International Inc., who provide local MPS sales and service throughout Latin America. Presented was the EB press, a cost-effective alternative in flexo printing, featuring a solid machine construction with self-evident high print quality, predictable and reliable productivity, and an operator-friendly press operation. The EB press is a solution for companies starting out in label production and established printers wishing to expand their label production with a cost-effective label press. Also featured was the MPS EF flexo press, a high-quality and highly automated multi-substrate flexo press, especially designed for label production and flexible packaging printing on a variety of substrates including thin film, paper, cartonboard, shrink sleeves, in-mold, tube laminate and flexible packaging. 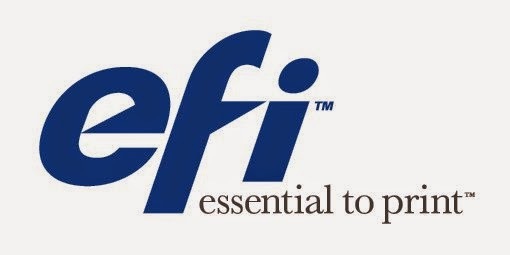 The EF is MPS’s flagship press, offering a choice of either plate rolls or print sleeves, providing the ultimate in flexibility and maximizing press performance, thanks to its ease of operation and reliability.